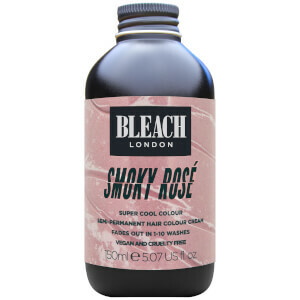 Enhance and cleanse your hair simultaneously with BLEACH LONDON Rosé Shampoo. 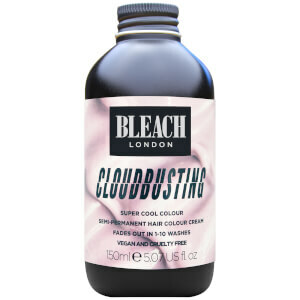 The nourishing shampoo has a touch of pink colour that eliminates unwanted green tones, or adds a soft pink rinse to blonde hair. 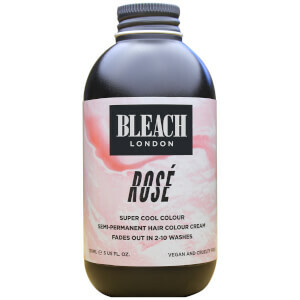 Gently cleansing, the vegan shampoo effectively lifts away impurities while restoring tone and radiance back into pink tresses. 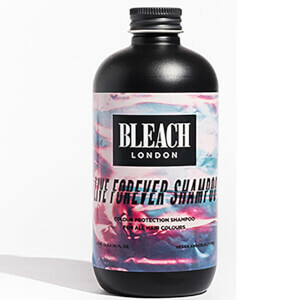 Lather into wet hair and massage through to ends. 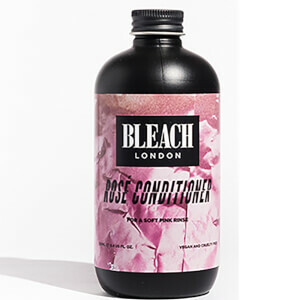 Rinse and follow with BLEACH LONDON ROSÉ CONDITIONER. Aqua (Water), Disodium Cocoamphodiacetate, Cocamidopropyl Betaine, Sodium Chloride, PEG-15 Cocopolyamine, PEG-200 Hydrogenated Glyceryl Palmate, Cetrimonium Chloride, Citric Acid, Laureth-2, Sodium Styrene/Acrylates Copolymer, PEG-120 Methyl Glucose Dioleate, PEG-7 Glyceryl Cocoate, PEG-40 Hydrogenated Castor Oil, Trideceth-9, Parfum (Fragrance), PEG-5 Ethylhexanoate, Sodium Benzoate, Dipropylene Glycol, Basic Red 51, Basic Violet 2, Hexyl Cinnamal.